Remember all that wedding fervor surrounding Blake Shelton and Gwen Stefani about this time last year? Sources close to them were adamant they’d be at least engaged if not married by the beginning of 2017. And here we are a year later without so much as a proposal. But the good news is that’s no reflection on their relationship. 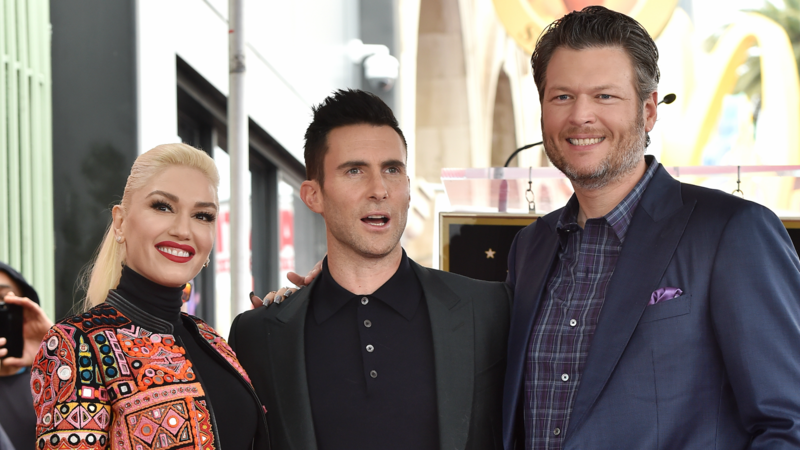 Just ask their fellow Voice judge/Shelton’s longtime boyfriend, Adam Levine. “They’re so in love it’s disgusting,” he joked during a recent appearance on The Howard Stern Show. It’s OK, Adam. We know you’re just jealous. Shelton and Stefani are coming right up on two years together after they started dating in 2015 in the midst of both of their divorces. They were judges on The Voice alongside Levine, and that’s where their romance began, so he’s been literally by their sides for their entire relationship. If “a whole other level of vomit” doesn’t just encapsulate true love to you, we don’t know what will. As for that proposal? Levine claims he doesn’t know if it’s coming, but we kind of think he’s lying. After all, Shelton and Stefani are some of his “closest friends,” he says. If there’s any couple we would put money on getting engaged any day now, it would be these two.